Luminosity's captain has wisdom to share. When Luminosity Gaming acquired the Hammers roster a few months back, they became one of the very few North American organizations to run two full-time Overwatch rosters. It wouldn’t take much time for LG Evil, the new squad, to outshadow the native LG Loyal roster by leaps and bounds, leading to their eventual hiatus. Though each player on LG Evil is fantastic in their own right, team captain, Jake, often comes up big in the DPS department and takes the team to the next level. Not only is Jake a phenomenal star in tournaments, but he’s also quite the writer and Overwatch theorycrafter. He recently started a blog that has got the community talking. Let’s take a look at some points he brought up in his latest blog post. Do you want to appear to be good, or actually be good? By trimming the fat off of all the formulas that give you your SR, the playing field becomes level all at once. People who want to stick to one character will still get rewarded, and people who adopt a more flexible playstyle won’t be hurt for their decisions. Everyone’s incentive will be the same, and SR will be a more accurate reflection of one’s skill level. There are some esports implications surrounding SR, as well as some other, finer details, so please take a moment to read Jake’s latest blog post when you get a chance. It’s well worth your time, and it will make you think about Overwatch a lot differently. 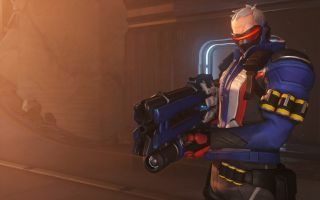 A stellar showing at Blizzard’s developmental Overwatch Contenders tournament has earned LG Evil a seat amongst the top eight best teams in North America. Along with Immortals, Faze, Kungarna, Renegades, Team Liquid, Envision and FNRGFE, LG Evil looks to get their hands on a portion of the $50,000 grand prize. Though high-quality Overwatch tournaments have been something of a rarity as of late, Contenders has not failed to deliver. Be sure to tune in this weekend, July 1st and 2nd, to see who will be crowned the champion of Overwatch Contenders season zero for both the North American and European regions.